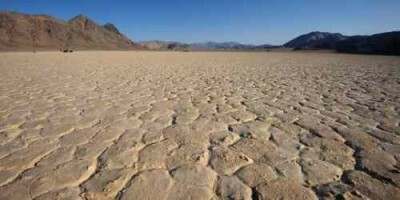 Drought-prone U.S. states demand efforts from public servants and agency administrators who manage natural resources for sustainability. Dwight Waldo, the renowned historian and administrator, once said that our view of public administration in a political sense should be in the light of the environment. Based on his thoughts, this essay describes drought, its impacts and management of its outcomes in the light of public administration-related agencies and careers. For instance, farmers from drought-affected states in the southeast and/or southwest are used to paying crop insurance plans under harsh socio-economic factors. Perhaps, these farmers yearn for more dedication from their public servants and officials on the “technical-know-how” to maintain soil and water quality during and after drought episodes. This essay argues in favor of other management practices, albeit indirect services, which administrators and public servants can provide for soil and water sustainability. Drought is an antithesis of hurricane floods like New Jersey’s memorable hurricane Sandy or Louisiana’s Rita-Irene-Wilma and the impact varies regionally. Both natural events are meteorological disasters which eventually attract the attention of several federal, state, local, private and non-profit agencies. Thus, how do these agencies assess or measure the risk-impact analyses of drought? This essay recognizes published literature by Quan, X.W et al. (July 2012) & McNider, R.T. et al. (July 2011) which attested to the Palmer Drought Severity Index (PDSI) used by several governmental agencies. PDSI calculates soil dryness through calculations of evaporation, rain gauge precipitation based on temperature over wide land areas (10,000 to 500,000 square kilometers). PDSI has its advantage of defining the length of drought without thoroughly assessing its effects on staple crops. Consequently, this essay suggests that intergovernmental agencies could also engage in other processes of risk assessment similar to the National Research Council‘s proposal of 1983. This essay argues that through the four steps of risk impact assessments, the U.S. Department of Agriculture works together with states which have soil and water conservation commissions and research laboratories. In addition, inter-organizational collaboration among governmental and non-governmental agencies could create propositional policies based on epidemiologic data of drought. These data lead to strategies such as grant development, education and training in computer modeling, budgeting and climactic predicting. Campos, Guillermo.E.P. et al. (February 2013) published a claim with the PDSI which seems to supports Polley’s findings. The USDA monitored drought effects at some sites in the U.S during two periods: from 1980 to 1999 and from 2000 to 2009. They reported a drought severity index with a probability of <0.0002. This essay suggests these findings were probably due to chance or sampling variations across the United States. One application of computer modeling in budgeting has been anecdotally described in water management practices and environmental health administration. Water wastage and conflicts among communally shared irrigation water basins have been changed from macro-irrigation to micro-irrigation techniques. This change has been enhanced among drought arable-farming regions of developed nations. Underground and groundwater mined resource has served perhaps eight or more states and has changed soil patterns, making it more fertile. The U.S. Geological Survey of 2007 reported that the aquifer changed water patterns in agriculture through its provision of 30% of irrigation water supply. Other notable changes to soil patterns include cover crops methods in soil conservation programs across the U.S. and afforestation practices. Cover cropping methods conserve soil moisture better than the overt fallowing methods. More so, cover crops also provide forage and prevent live-stock from over-grazing and decultivating soil of essential nutrients. The United States Forest Service and the National Park Service are two federal agencies known for their public service in the area of soil conservation methods in forestry research and promotion of fire-fighting efforts during heat-waves or wildfires-incendiary means along the west coast. Yet, this essay proposes that there are possibly more prospects of non-profit organizations like B corporations, with primary interests in nature conservation forming public-private partnerships now and in the future with these federal agencies. In conclusion, this essay discussed ways by which public services and natural resources management in environmental administration could deliver bilateral types of services to drought-prone areas of the United States. This essay concludes that the observed soil and water changes are by-products of multi-dimensional risk-impact assessment analyses with newer spatial / satellite technologies for use in prediction modeling of drought events. Author: Oluwakemi Ekundayo hails from Newark, New Jersey. Ekundayo was educated as a black multi-ethnic physician in Nigeria by the year 2000. Now, she is a full-time MPA graduate student at Rutgers University-Newark campus.